A RANGE OF TECHNIQUES & MODALITIES UTILIZED TO MEET YOU WHERE YOU ARE. INTEGRATIVE BODYWORK FOCUSES ON THE MANY LAYERS OF CONNECTIVE TISSUE THAT PLACE ALL OF THE MUSCLES JOINTS AND BONES TOGETHER, ALLOWING THE BODY TO RELEASE TOXIC BUILDUP ANYWHERE THERE HAS BEEN HOLDING IN THE MANY LAYERS OF THE SYSTEM. Rei which means "God's Wisdom or the Higher Power" and Ki which is "life force energy". Reiki is actually "spiritually guided life force energy." Pregnancy massage focuses on addressing the needs of those about to give birth and after delivery. Props such as cushions and warm towels, and side-lying postures are used to prevent putting pressure on the belly/baby. A relaxing and deeply releasing session for the back, hips, neck, physically…and to release emotionally from all the hormonal and lifestyle changes taking place. How will it help me? 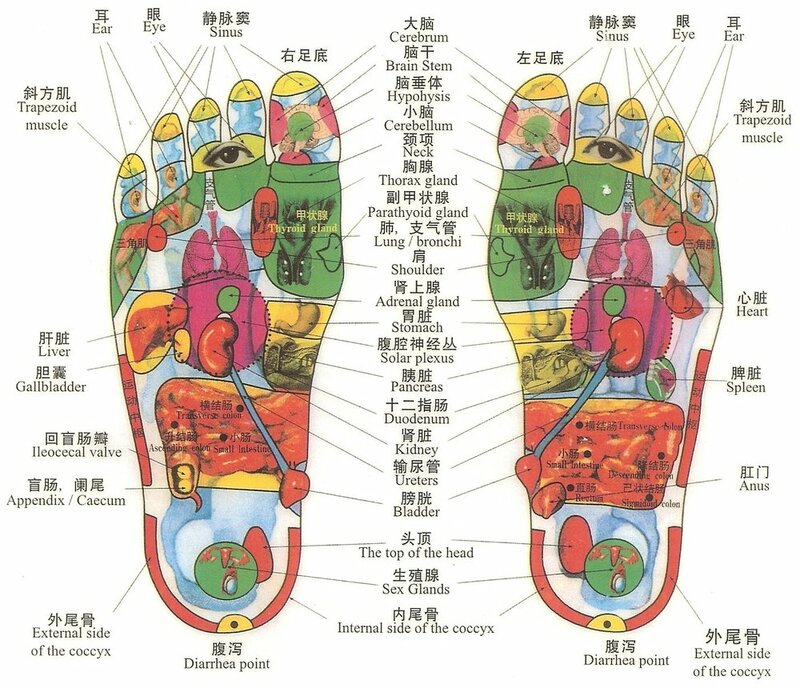 In reflexology there are certain points or nerves that are contained in your feet, hands, and ears that are associated with organs and all parts of the body. These points need to be massaged in order to eliminate stress, built up tension, illness and pain. Reflexology is an alternative healing method that has been in practice for thousands of years. And, did you know that it's an ancient practice and was passed down through an oral tradition, and possibly first recorded as a pictograph on and Egyptian tomb? It is very difficult to track exactly how old this alternative method of medicine is. Basically it is accomplished by applying pressure to certain areas of the hands, feet, and ears, it is believed that the pain from nerve damage or stress will be lessened. The truth is, it doesn’t really matter how old it is… what matters is that it works! You will be glad you tried it! *Price per person. Enjoy private teaching solo or in a small group of friends/family. So What is CranioSacral Therapy ? This subtle modality of bodywork creates huge shifts deep within your system to let go of unconscious holdings from trauma and injury. This is profound work that has made a big impact in my own experience and in my clients' lives who have experienced craniosacral. Enter a quiet meditation-like state. Feel as if you are dreaming while awake. Experience memories or insights while on the table Enjoy a pleasant sense of warmth, softening, widening or floating. At times, you may experience other kinds of sensations as energy that has been held in the body is released. If this occurs, just stay present with your breath and bodily sensations and allow this energy to discharge. The session quite often involves a process of letting go of patterns that inhibit your health and vitality. Once these patterns begin to shift, the therapist may notice changes in your fluids, tissues, bones and potency. You may experience a sense of integration in your body, mind and spirit. ***Now for a limited time I will be offering craniosacral sessions in a special package. Grab one for yourself or as a gift certificate for a loved one. This is potent work once you allow yourself to receive. buy 5 Sessions, get one 50% off! This package is for you if you would benefit from receiving bodywork on a regular basis and love great deals. With this package, you will receive 1 massage half off! These can be used for any type of session that you choose when you schedule. Feel free to mix and match to experience all the various benefits of each type of bodywork. or as often as you like. A great discount on top notch bodywork. choose which session speaks to you.